The focus at the recent HubSpot conference turned to the marketing potential of AI-powered chatbots engaging customers. 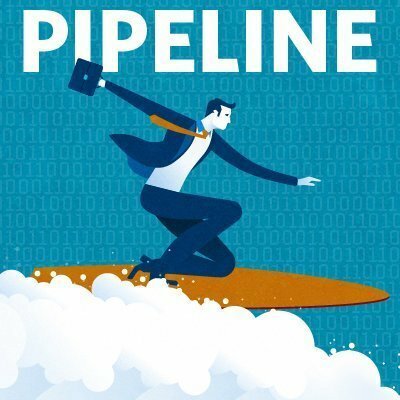 This Pipeline Podcast looks back at Inbound. Look out, HubSpot customers: Free AI-powered chatbots for CRM and marketing automation are coming your way, and their beachhead will be Facebook Messenger. That was a recurring theme at this year's Inbound, the HubSpot conference attended by 21,000-plus users of the marketing automation and CRM platform. It was all a part of co-founders Brian Halligan and Dharmesh Shah's message of "starting up is easy; scaling up is hard" for the mostly small- to medium-sized businesses that use HubSpot. Setting up tools like Facebook Messenger chatbots as front-line communication channels can help a company find -- and field -- customers on new channels they may not be able to cover with people right now. Two types of bots will be used most of the time, said HubSpot CMO Kipp Bodnar in a presentation outlining the coming integration. One, a utility bot, will help do recurring tasks, such as research, like Facebook's GIPHY bot that suggests animated GIFs to go with messages and posts; the other, transactional bots, expire when a transaction is complete, such as a package tracker rendered irrelevant once an order is delivered. Messenger isn't just a new communication channel, it's how you have conversations. This starts with Facebook Messenger chatbots because that's where everyone is, he explained, and because the integration is tight. "People don't want to leave Facebook -- click a link in your video and go to your website. That's why everything we're doing with Messenger is so important," he said. "Messenger isn't just a new communication channel, it's how you have conversations." The chatbots are in development now for rollout next year -- as HubSpot integrates recent acquisition Motion AI's technology into its platform -- starting with Facebook Messenger chatbots. Other topics discussed in this podcast include Dan Lyons' Disrupted book. The tell-all tome didn't seem to disrupt the growing HubSpot Inbound show, which broke previous attendance records and featured keynotes from Billie Jean King and Michelle Obama. Will my job be taken by a chatbot? Is Facebook Messenger the next chatbot channel for your customers? Why or why not?